Making a competitor analysis to know enough about competitors is very important for business marketing. 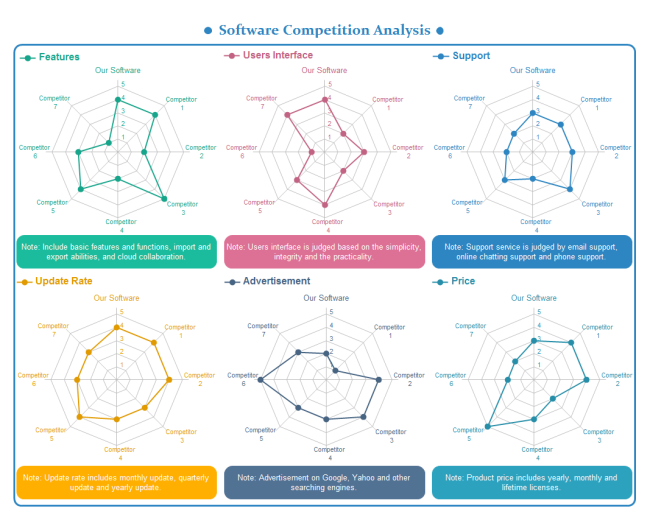 This page will introduce you 5 charts and templates that are often used in competitor analysis. A marketing competitor analysis plays an important role in your marketing plan. By doing the analysis, you will identify the strengths and weaknesses of current and potential competitors and establish what makes your product or service unique, so that you can develop the correct marketing strategy to win the battle. 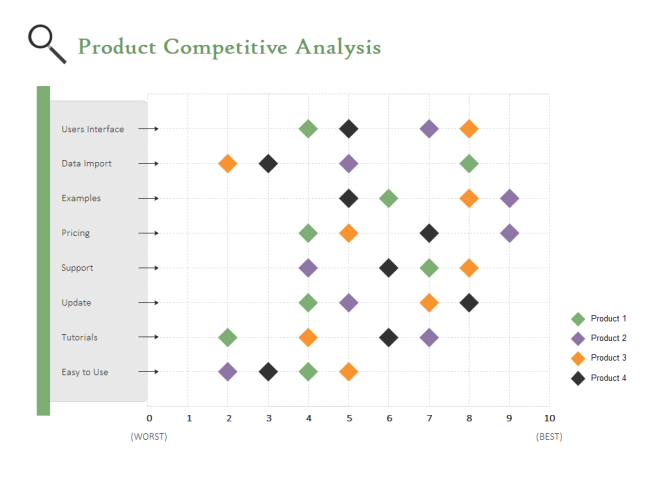 Here are 5 charts people often use when doing a competitor analysis. A spider chart is a data visualization method of displaying multivariate data in the form of a two-dimensional chart of three or more quantitative variables represented on axes starting from the same point. 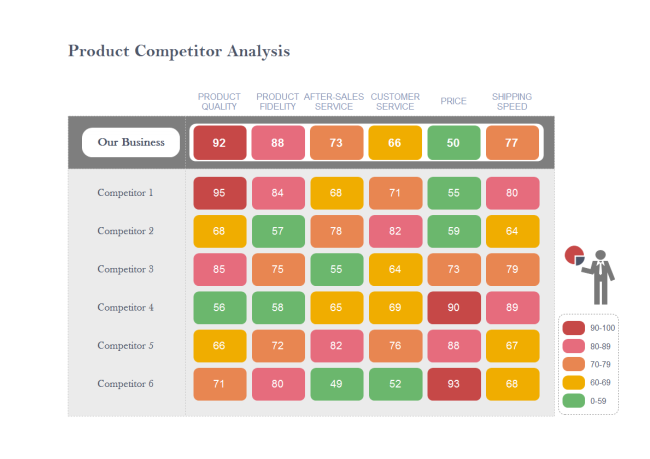 As it's an effective method for comparing between two or more products over a range of characteristics, it's always used for competitor analysis. 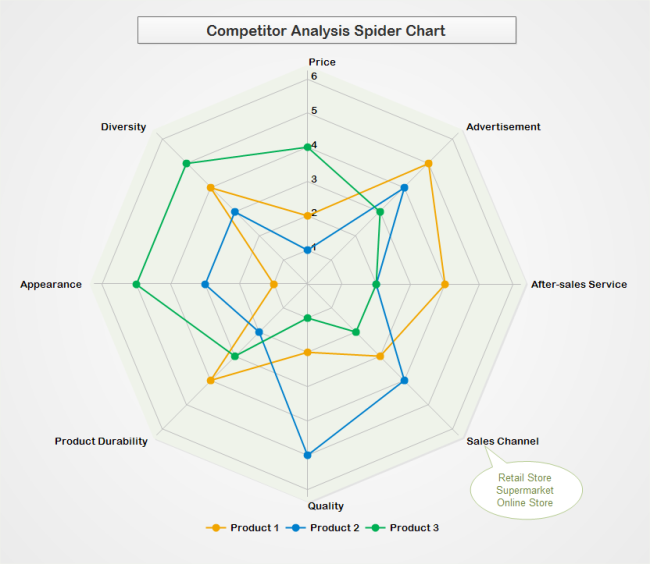 Like the following examples, you can create a series of spider charts representing different characteristics or you can make everything in one chart. 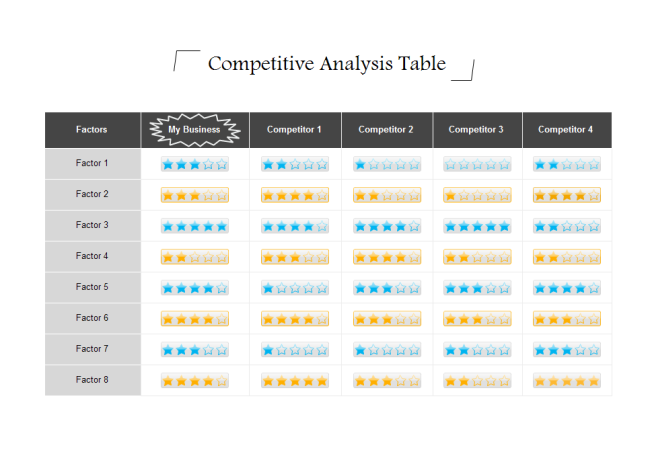 Comparison table is a traditional method for competitor analysis. Make a list of factors and score the factors one by one for all the competitors. You can use either numbers or graphical indicators showing the scores. Comparison table is quite straightforward and easy, thus it's always used as a basic competitor analysis tool. 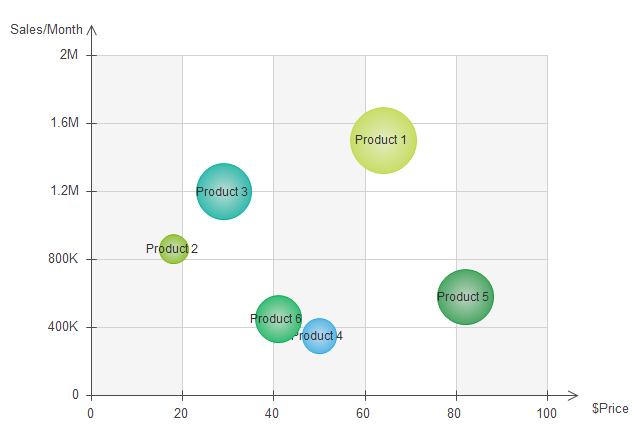 Bubble chart is a scatter chart variation that visualize three data dimensions. The third dimension of data is presented by the size of the bubbles. For example, in the example below, the X-Axis shows the individual product price; the Y-Axis shows the monthly sales; and the size of the bubble represents the product future growth. The matrix chart is a variation of the comparison table. The difference is that with matrix chart, you can easily use different colors to represent different degrees. Like the picture below: the green color represents a relative low score, and the red color means it's done pretty well.